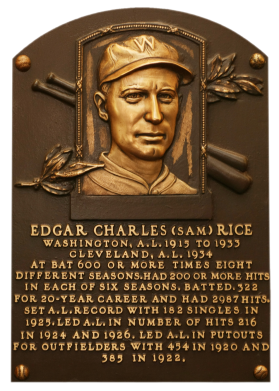 Sam Rice, a fleet 150-pounder, smacked 2,987 hits on his way to a .322 career average for Washington. He led the AL in hits twice and had 200 or more base hits six times. He scored 1,515 career runs and stole 351 bases. 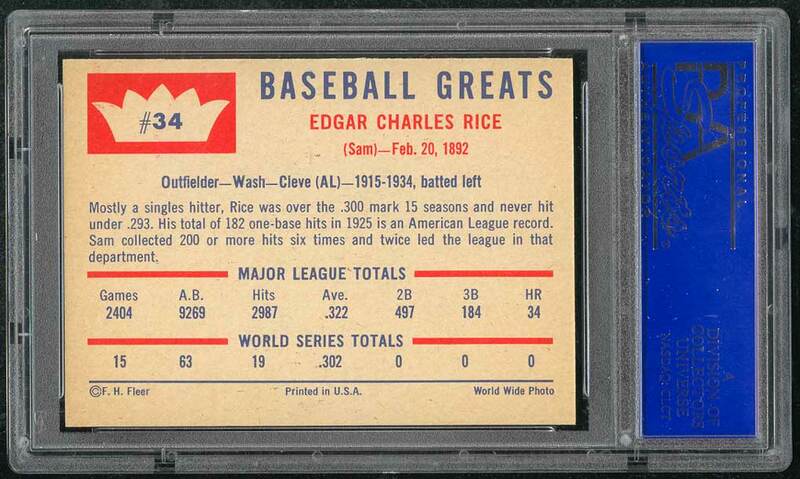 A master of bat control, Rice struck out only nine times in 616 at bats in 1929. Comments: I first had a tribute card for Rice, picking up a 1960 Fleer PSA 8 in April, 2000 off eBay. 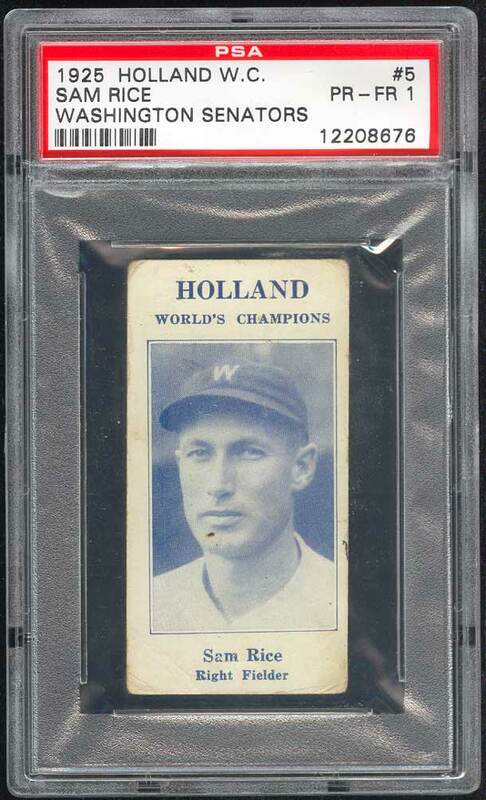 Then, in March, 2005 this amazing '26 Holland Creameries card showed up on the Net 54 B/S/T forum. It was a perfect fit for my collection. I purchased the card from Tim Sedlock and subsequently had it authenticated by PSA in June, 2005. I have not seen another example surface since. Description: The World's Champion Washington Senators were featured on a set issued in Winnipeg, Manitoba,of all places. The 1-1/2" X 3" cards have player portrait photos printed in blue on front. 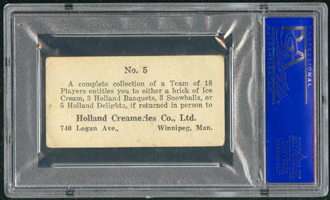 The black printed back has a card number and details of a redemption offer of cards for ice cream. 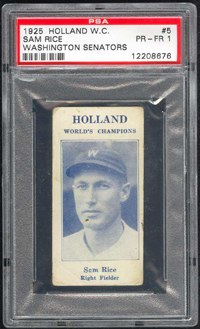 Like many such offers it appears as if card #16 was intentionally withheld or minimally distributed, making it very scarce today.